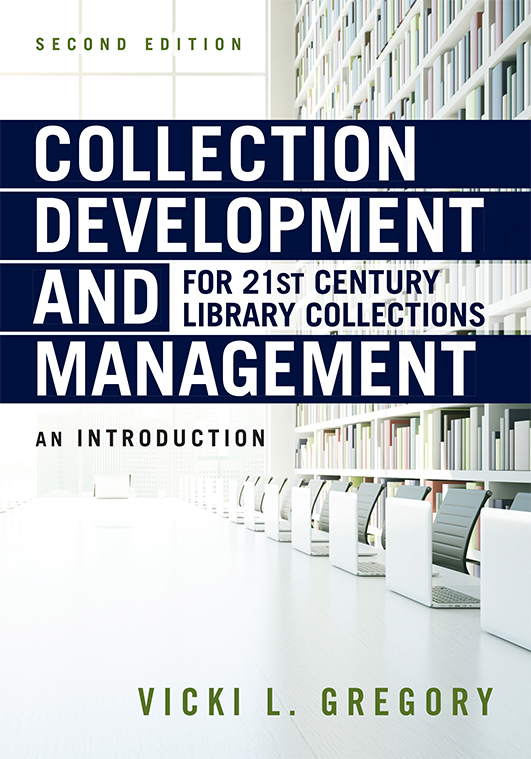 "Collection Development and Management for 21st Century Library Collections: An Introduction, Second Edition"
Gregory has a M.L.S and an MA in History from the University of Alabama, and a Ph.D. in Communication, Information, and Library Studies from Rutgers, The State University of New Jersey. She is currently a professor in the School of Information at the University of South Florida where she currently teaches Collection Development, Digital Libraries and Library Administration. She was previously Head of Systems and Operations (which included collection development, acquisitions, cataloging, serials and computer technology) at Auburn University at Montgomery. She has written several books and numerous articles and conference presentations nationally and internationally. She has also served on the ALA RUSA Notable Books Council for several years.